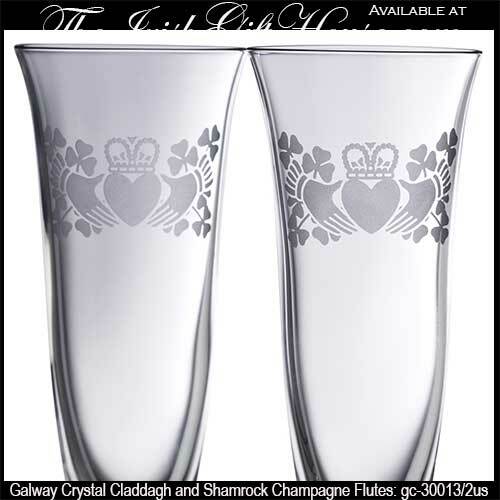 Galway Crystal champagne flutes are perfect as wedding toasting glasses and include our best selling Claddagh flutes. 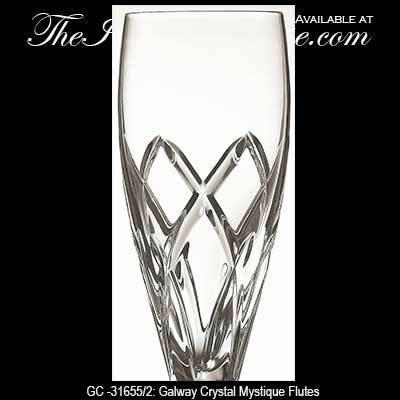 The champagne flutes from Galway Crystal are made of 24% leaded crystal; it is the lead in crystal that produces the distinctive sounding ring when the glasses are clinked together. The Irish Gift House is happy to provide complementary gift wrapping along with your gift card. 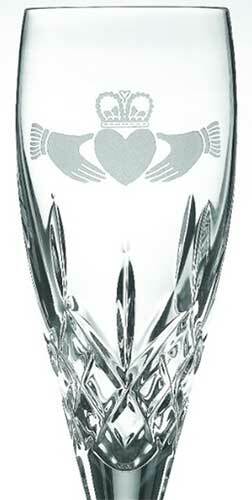 Please indicate your instructions in the comment are of the check out page. 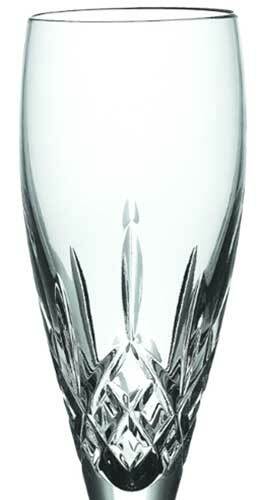 Irish crystal champagne flutes for the bride and groom feature a floral spray motif. 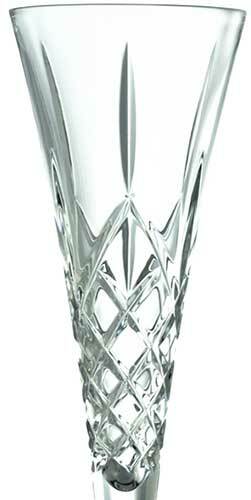 Irish champagne flutes are cut in the Longford pattern by Galway Crystal. 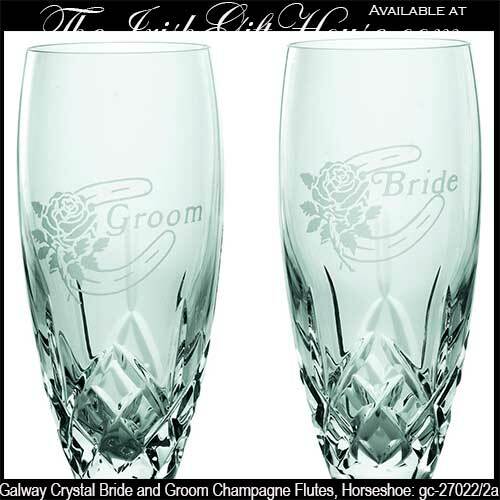 The Irish Gift House is proud to offer a comprehensive collection of Irish champagne flutes that includes a fine selection of Mullingar Pewter wedding glasses. 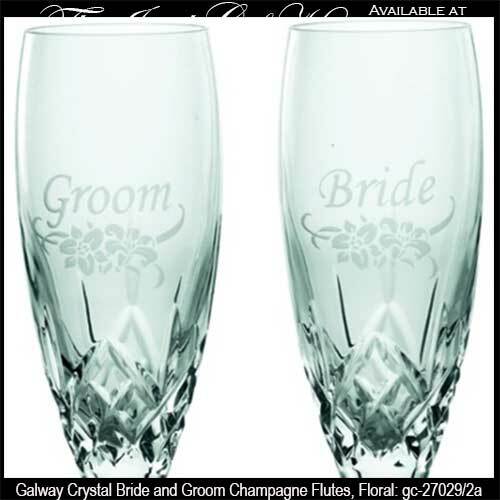 You may also wish to look at our selection of Irish champagne flute holders that will add style and elegance to your celebration. 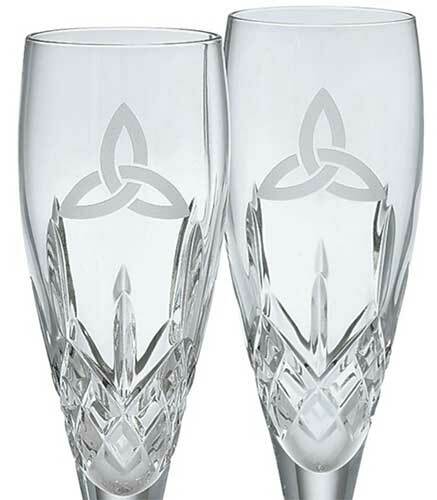 Additional vessels that are ideal for your wedding toast include the two handled Claddagh wedding cup along with the Quaich Cup that is complete with Celtic knot-work. 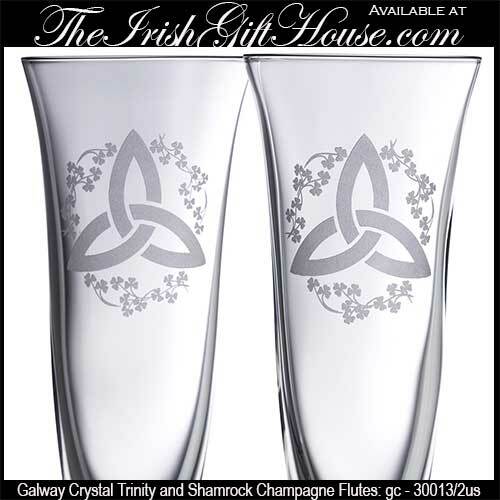 Many couples are reaching for old Irish traditions and for that reason there has been a resurgence in the use of Celtic goblets for the bride and groom.